Though based in Los Angeles, Flying Lotus has the trend-absorbing drive of a European electronic producer. His 2008 breakthrough, Los Angeles, deconstructed UK dubstep and bass; but Cosmogramma turns to the future soul of his native city, and the spiritual house music of Theo Parrish. During its quieter songs like “MmmHmm,” he allows bassist Stephen “Thundercat” Bruner and harpist Rebekah Raff to take over several passages. 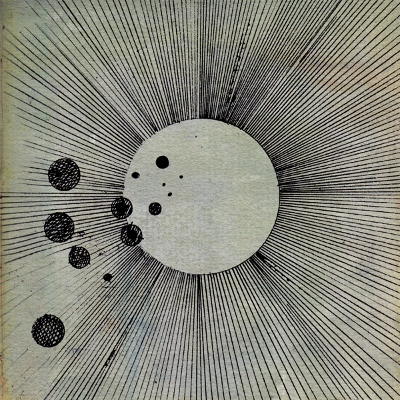 But even Thom Yorke, who appears for an inspired vocal on “…And the World Laughs with You” can’t overshadow Flying Lotus, whose sound signature on this surprisingly reflective work is indelible. This entry was posted in Reviews, Short Cuts and tagged Flying Lotus, Rhapsody, Warp. Bookmark the permalink.